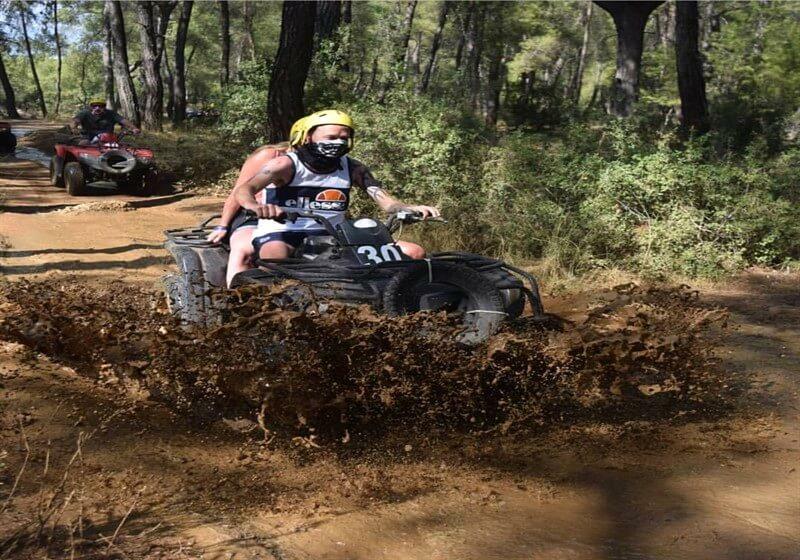 Alanya quad safari tour is an exciting, adrenaline and adventure tour that is organized on muddy roads (off-road) of the foothills of the Taurus Mountains covered with pine trees. 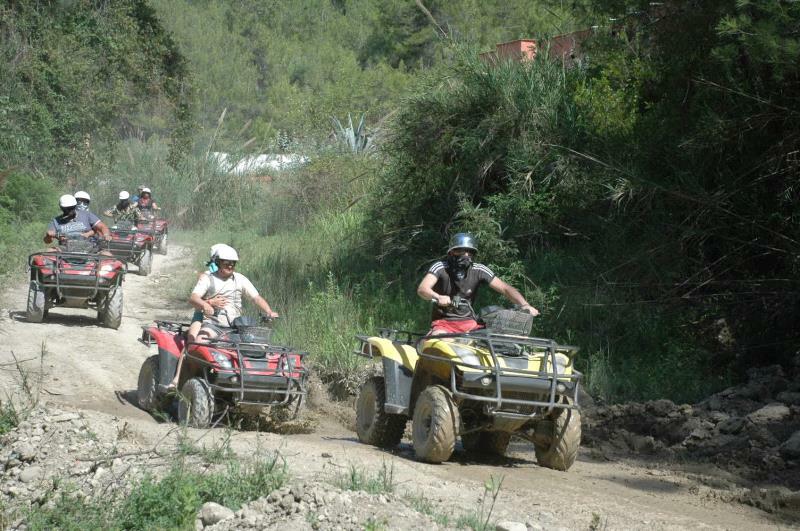 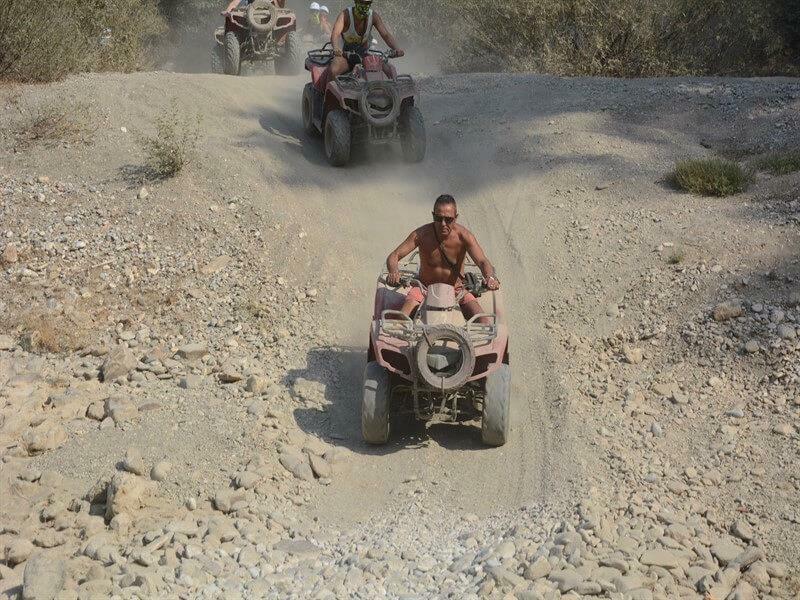 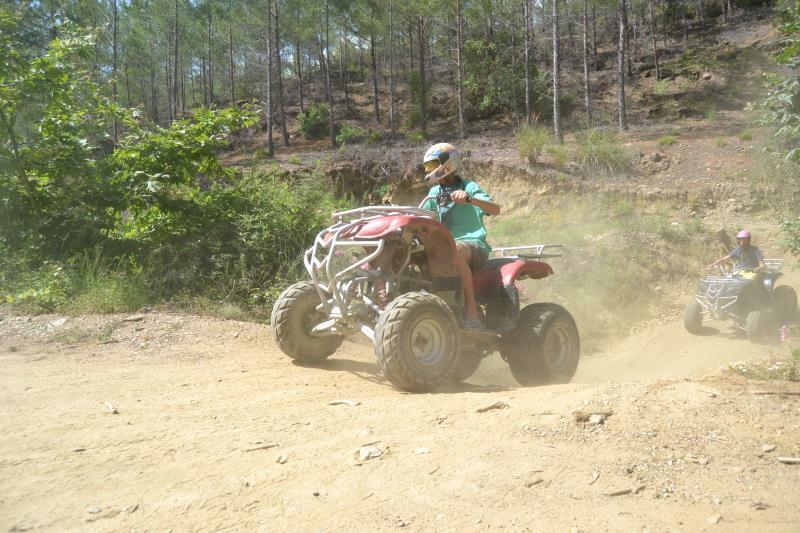 You do not need to have any prior experience or a driving license to join our Alanya quad safari tour. 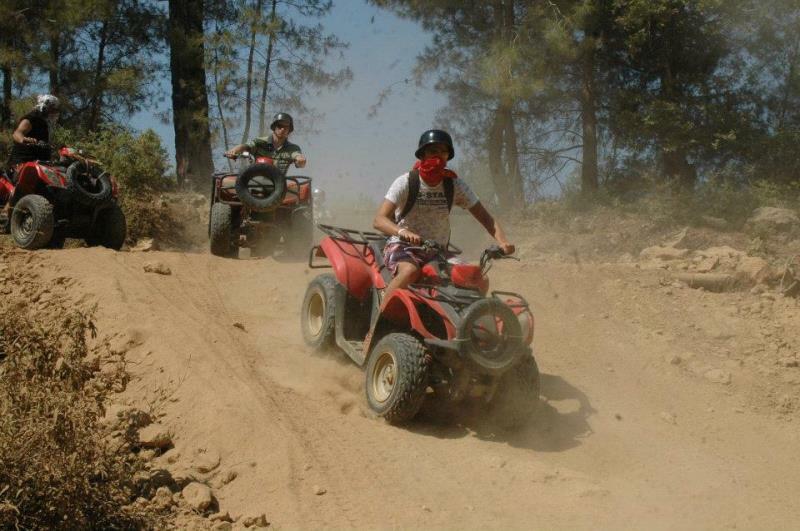 Our quads are so easy to ride.They are automatic and have just gas and break using hands or foods. 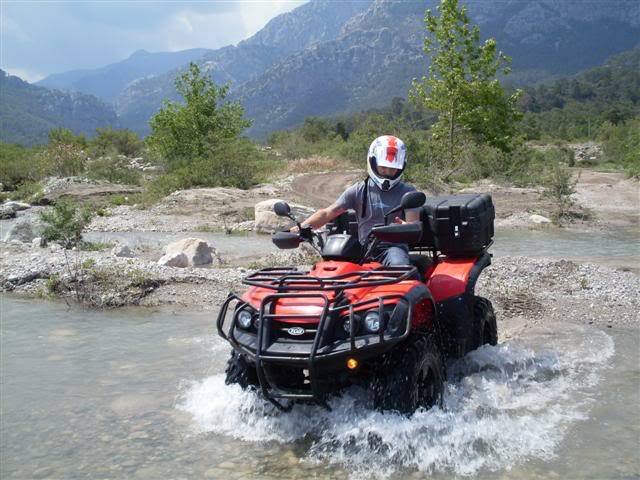 After a briefing by our guides&instructor and test riding, Our exciting Alanya quad riding will start. 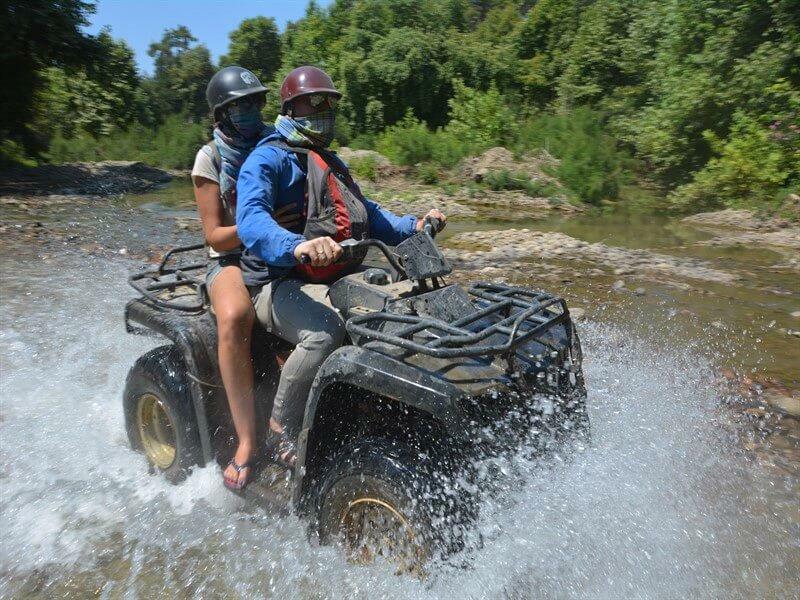 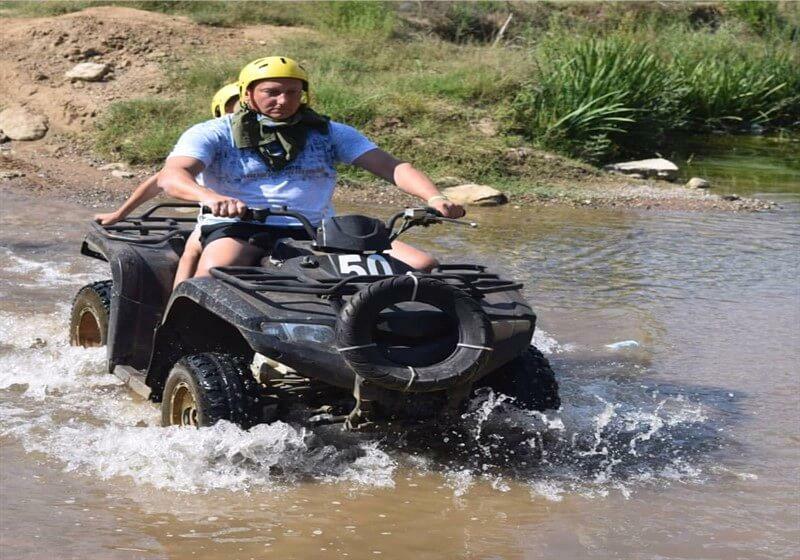 Our quad safari riding takes approximately 20 km and 2,5 hours.We have breaks for relaxing, photos and swimming in the river. 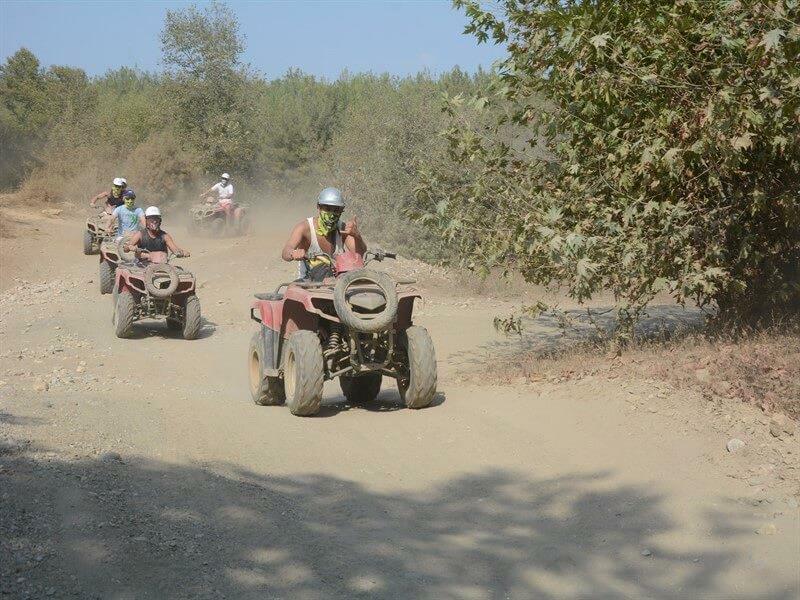 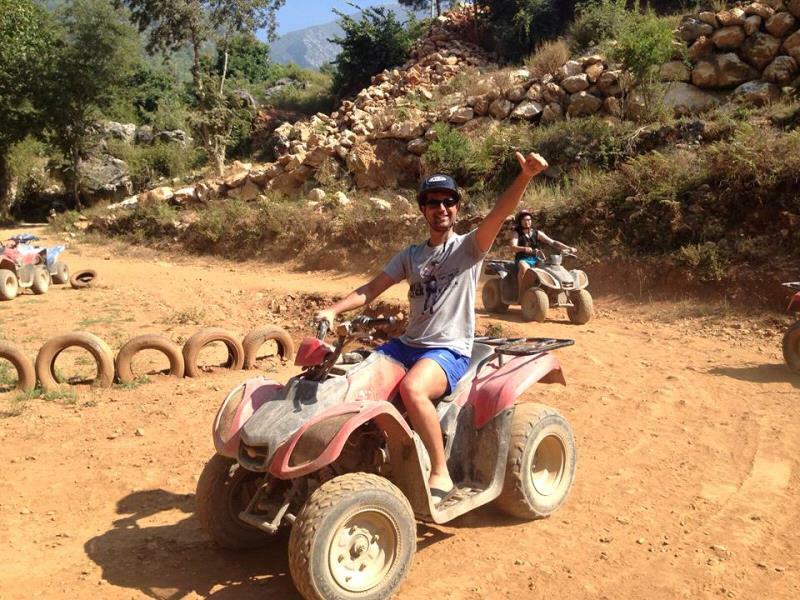 Our guests can prefer riding on one quad one person separately or two people can share one quad by paying 5€ extra more. 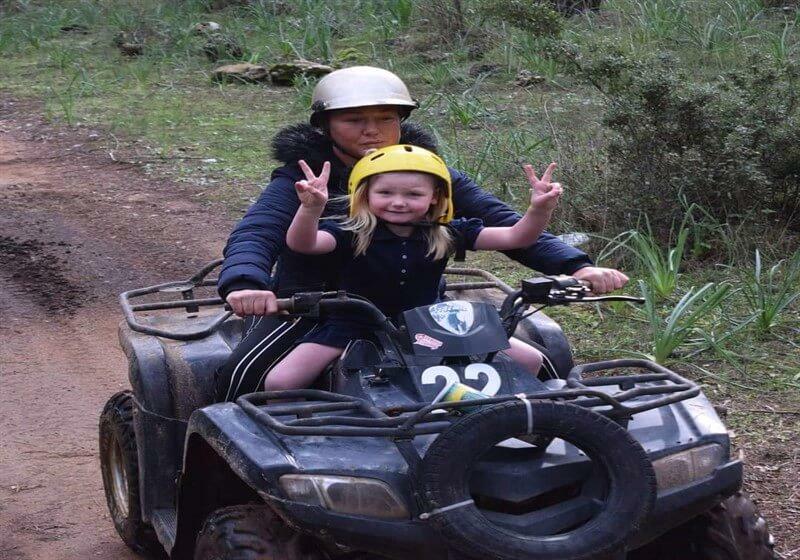 Kids are under the age of 12 can be on the same quad behind of their parents.We care your safety and provide you helmet and professional instructors & guides looking after you during our Alanya quad safari tour. 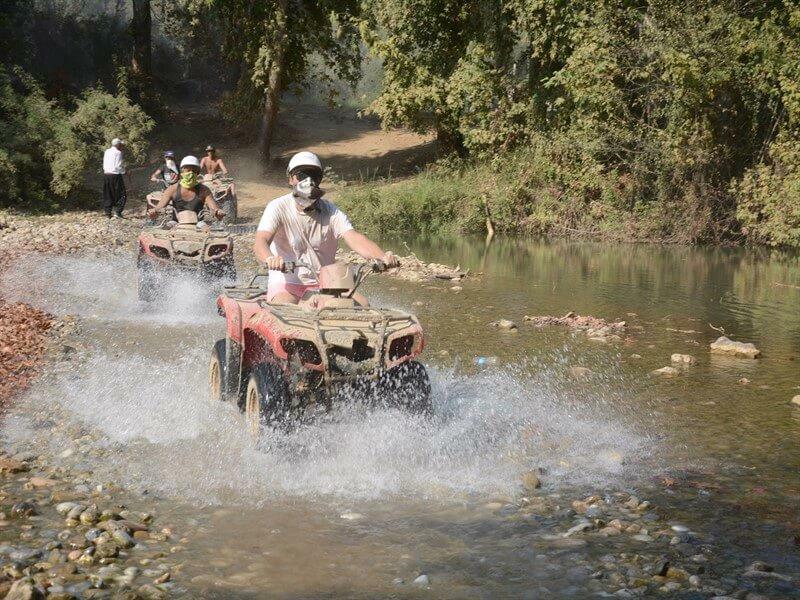 *We recommend you to take sun cream, swimming suits (as you'll stop for swimming), comfortable shoes, sunglasses, and a handkerchief to protect your face from dirt and dust. 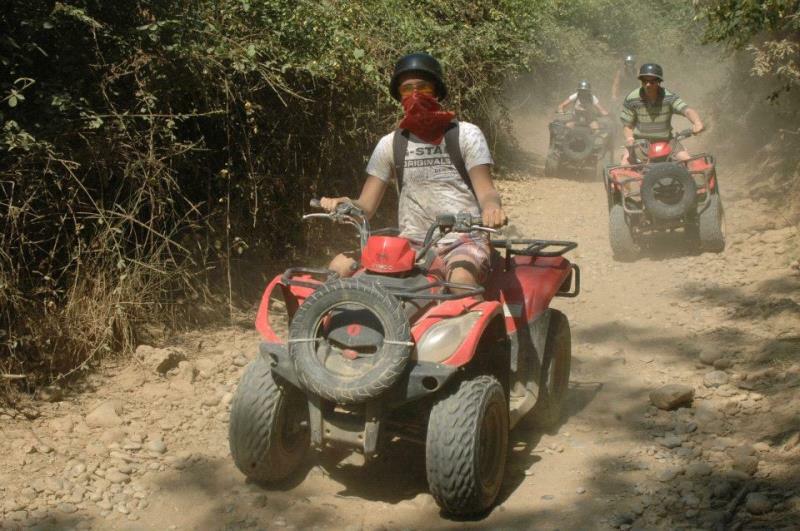 You can also buy sunglasses and bandanas from our tour guide. 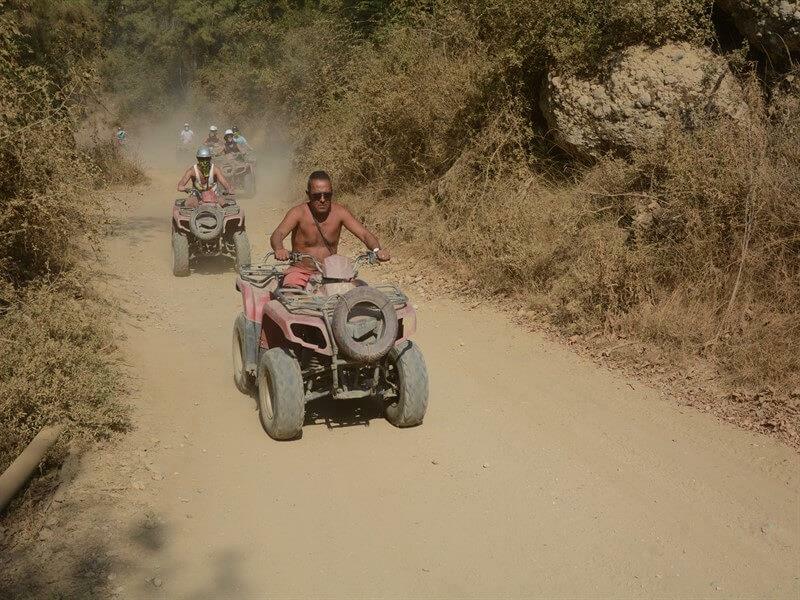 *You should not wear your new and valuable clothes. 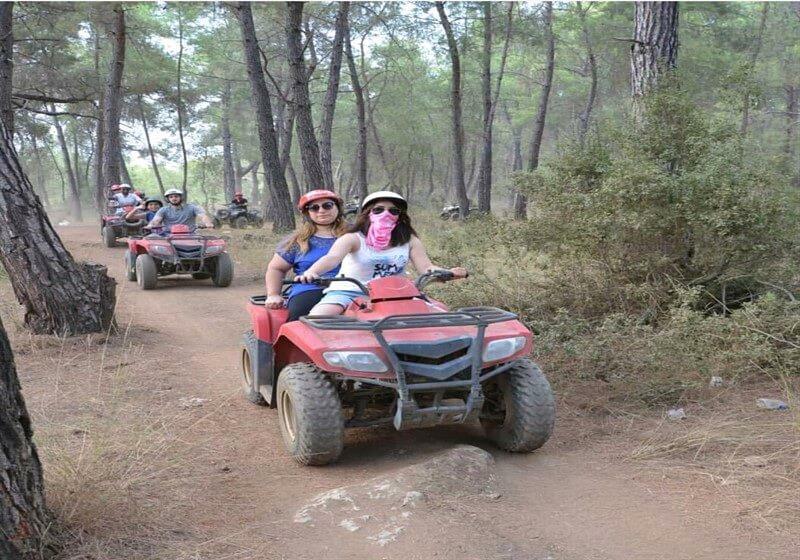 Because your clothes will get dirty and dusty.